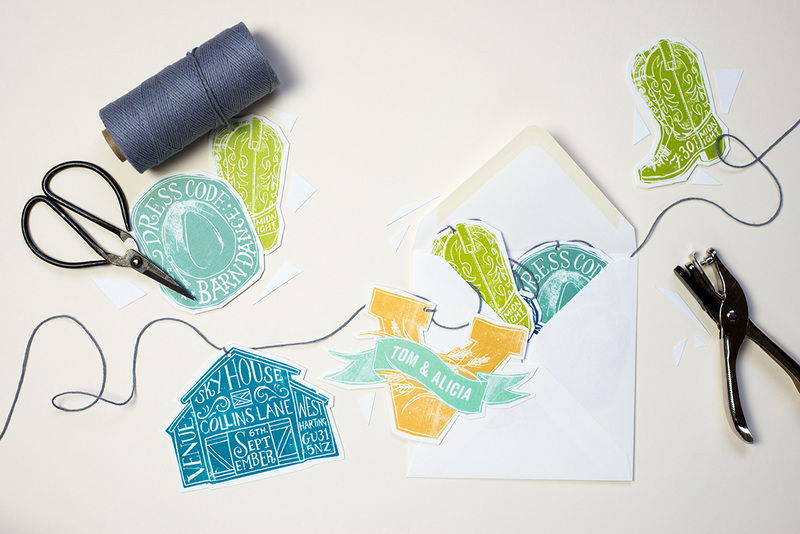 Victoria’s only request was for a fun invitation to celebrate her barn dance themed thirtieth birthday. 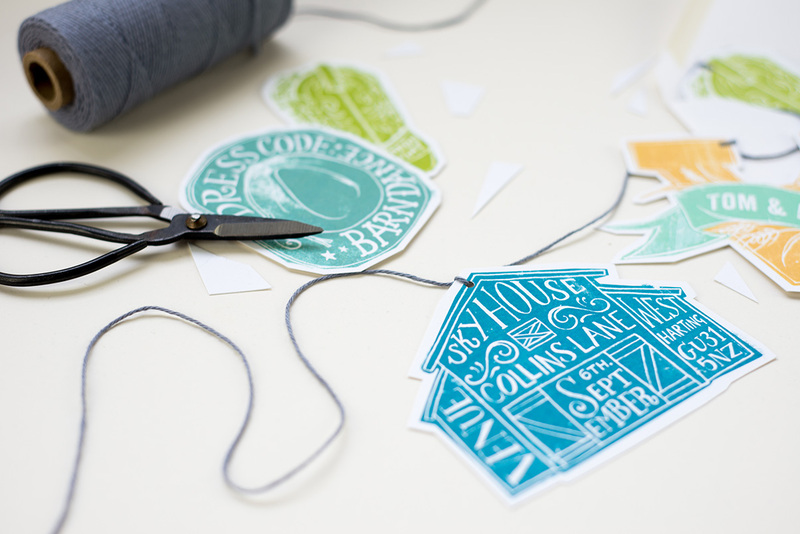 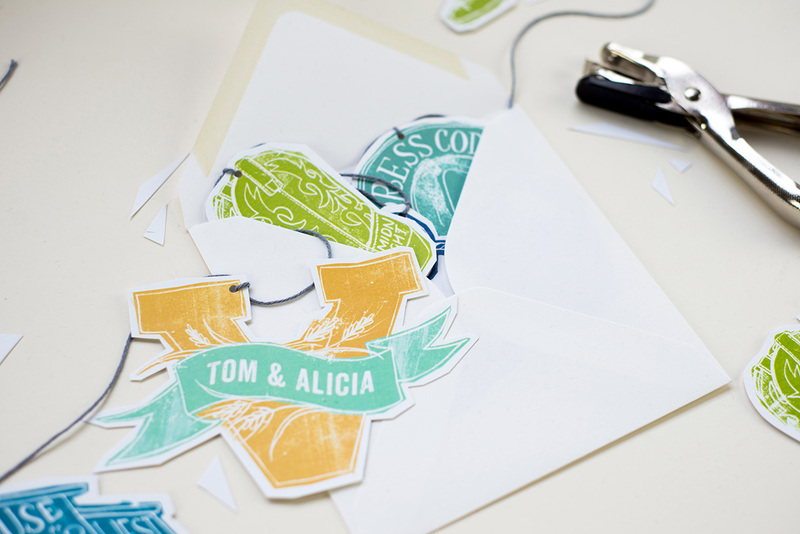 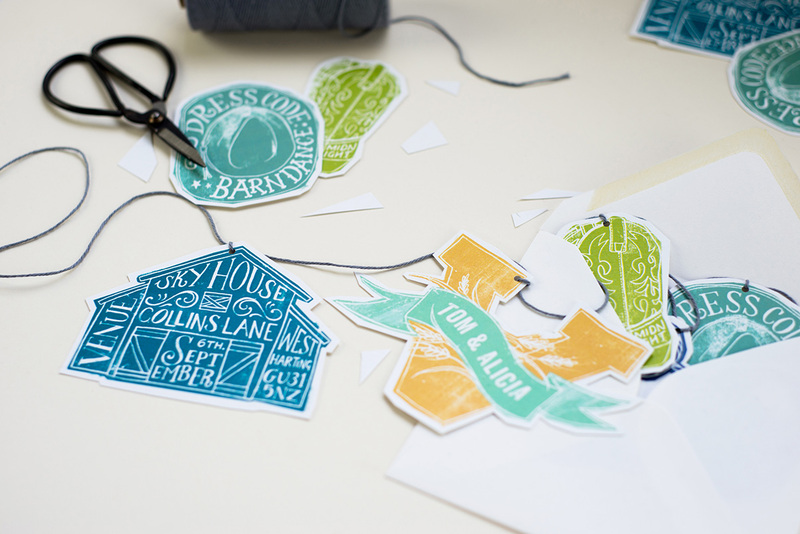 We played with hand lettering and quirky illustrations, all individually hand cut and hung from grey twine. 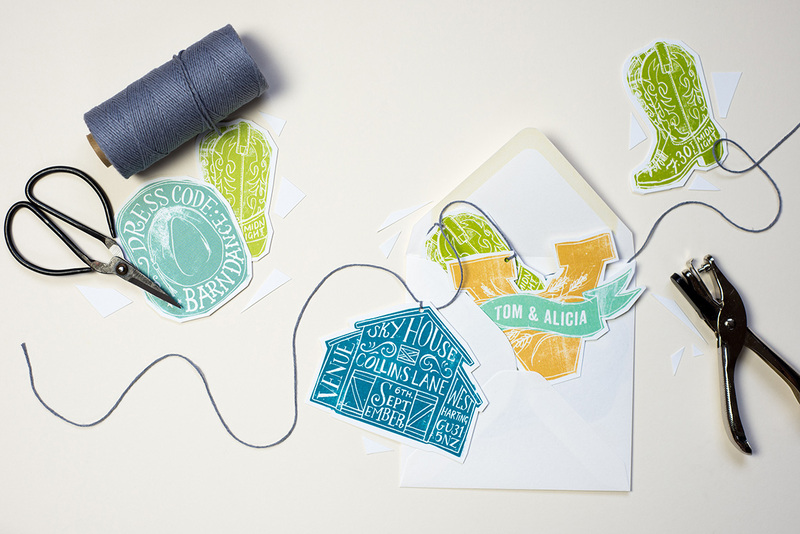 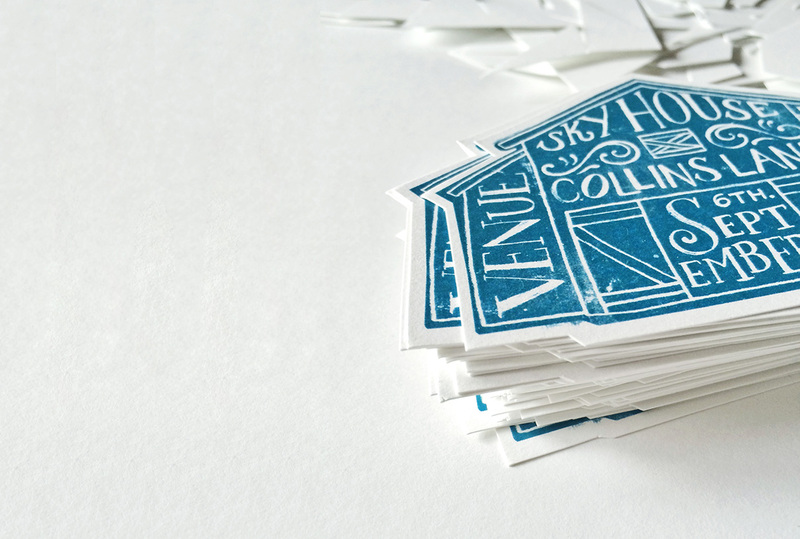 Rope, a barn, cowboy boots and a hat, together reveal the details of the celebration and the horseshoe or in this case a ‘V’ shape for Victoria feature personalised banners for each guest invited to the hoedown!